Esteban Ocon insists there is "no panic" after a bad start to the season for Force India. The small Silverstone based team finished fourth overall in 2016 and 2017, but now Renault, McLaren and even Haas look set to displace Force India this year. "I suppose some (fans) are afraid that after Melbourne things will continue to be like that," Ocon told France's Auto Hebdo. "So that there is no misunderstanding, I want to tell everyone that there is no panic. Yes we are behind and there is a lot to do to return to the fight for the top five positions. "But I'm not worried," the French driver added. "Everything changes very quickly in formula one and our car has great potential for improvement. "We learned a lot about the chassis in Australia and we are preparing a lot of new parts -- some of them will be on the car in Bahrain already. "Last year we struggled in Melbourne too but we quickly made progress. The season is long," the 21-year-old added. "Our car is better and faster than its predecessor, but our rivals made more progress. But the key to success is development. 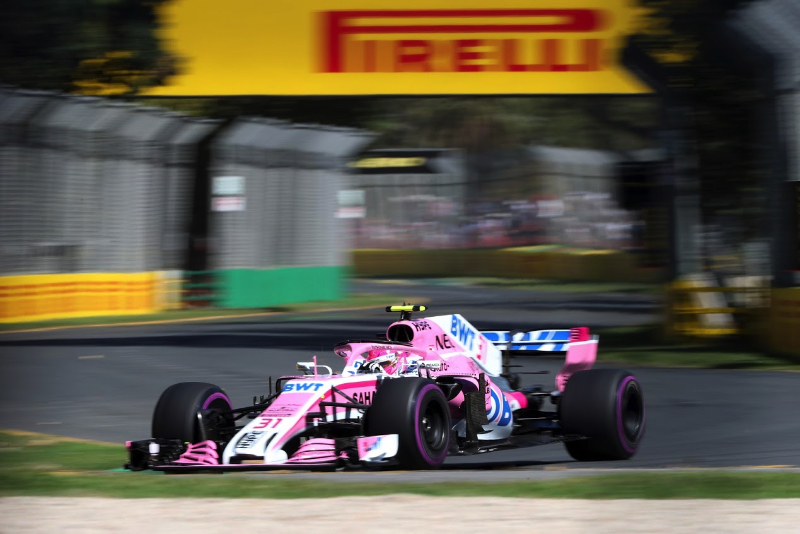 "We already made a big step forward in comparison to the tests, as it was easier to drive the car in Australia," said Ocon. "We do not believe that we have failed already -- we only have small problems, and believe me, now we are trying to put everything right."